A scenic view of the 17th hole at the Stadium Course at PGA West. The PGA Tour begins its five-event West Coast swing this week with the Desert Classic at PGA West in La Quinta, California. 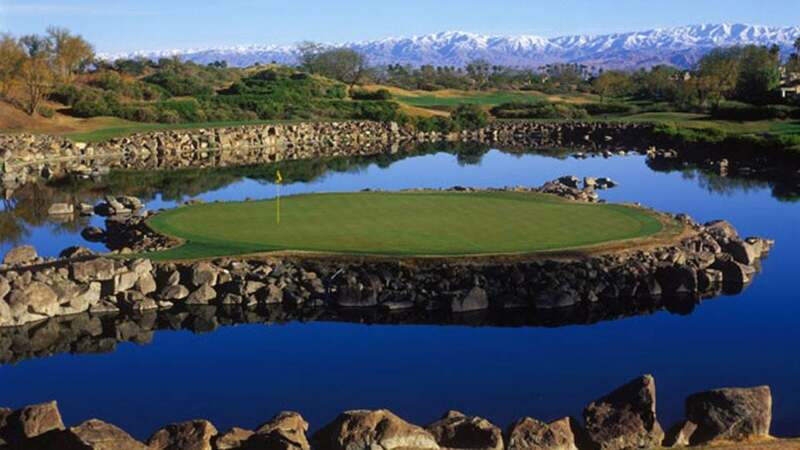 What makes this event so unique is that the first three rounds will rotate through three separate courses: PGA West's Stadium and Nicklaus Courses, as well as La Quinta Country Club. The Stadium Course is the host track that will be used for the final round on Sunday. Here's everything that you need to know about it. Origin: The Stadium Course was designed and built by golf course architect Peter Dye in 1986. Owned by La Quinta Resort & Club, the track earned its name from Dye's plan to put spectator seating into the natural terrain of the course. The course was inspired by and modeled after traditional Scottish links-style courses. Design: The Stadium Course, which runs 7,300 yards from its tournament tees, has four par-3's and four par-5's. The par-72 track has five different sets of tees for all skill levels, and its greens and fairways are both made from Bermuda grass. Some of the course's amenities include practice greens, a driving range, golf club rentals, and a full clubhouse. The par-5 11th hole is nicknamed "Eternity" for a reason; it's 617 yards long. Longest Hole: The par-5 11th runs 617 yards from the tournament tees. Nicknamed "Eternity," it is imperative for the golfer to avoid the bunkers left of the tee. The course advises golfers to hit their second shot as far to the right as possible because it will provide one with a flatter lie for his or her approach shot. The approach shot on this hole is difficult as it is, so don't make it harder on yourself and hit your second shot off to the hilly left side of the fairway. Shortest Hole: The par-3 17th runs 168 yards from the tournament tees. Nicknamed "Alcatraz", the green is located in the middle of a pond. Therefore, you can't miss short, long, left, or right. Any errant shots have penalty strokes headed their way. Fun facts: The Stadium Course plays host to the PGA Tour Q-School Finals every other year. As for history, it first hosted the Desert Classic in 1987, but didn't host again until 2016. After its first year as host, Tour pros found the track to be too hard and refused to return the following year if it was played again on the Stadium Course. As a result, Tour pros signed a petition to remove it as a host course. However, the ban went up after 2015 and the Stadium Course was reinstated as host.